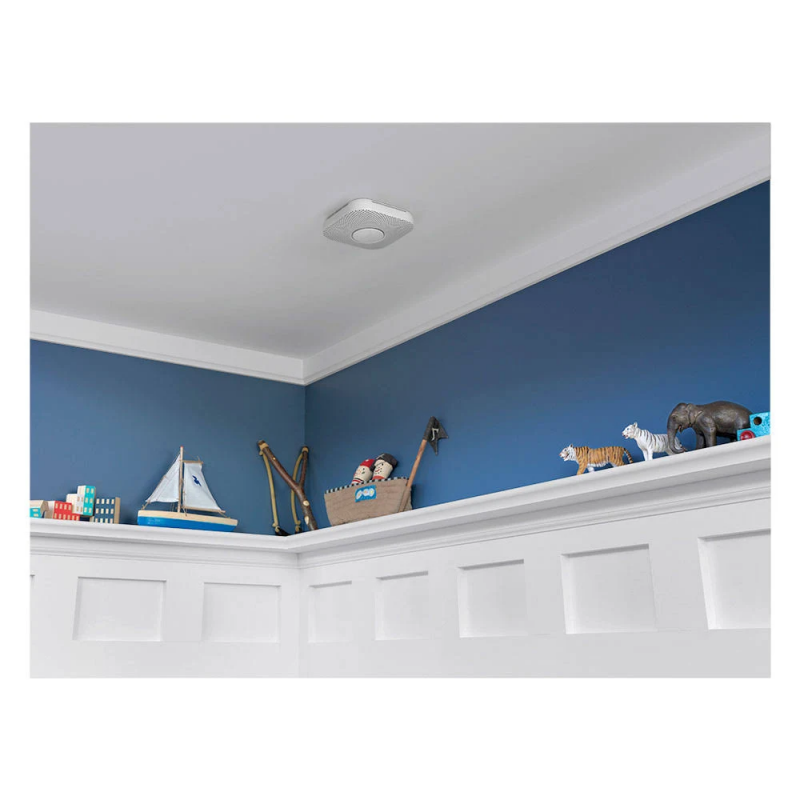 The Nest Protect 2nd Generation Smoke & CO Alarm that thinks and can detect both fast and slow burning fires. It can alert your phone and tell you where the danger is. You can also silence false alarms with your phone. All this is a new design from the inside out. It has a split spectrum sensor, tests itself automatically and for up to a decade. The split sensor uses a 450 nm wavelength of light to detect tiny particles created by fast fires.To reduce false alarms, the split Spectrum sensor is shielded against outside light, etched to protect it against dust and encased in a stainless steel screen. 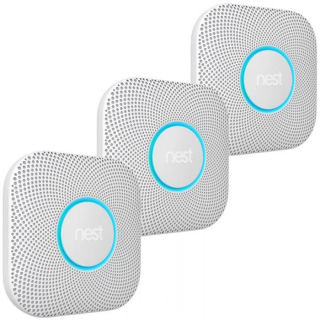 Nest Protect uses both a humidity sensor and an advanced algorithm to cut false alarms from steam by 50%.